Another Alt. Account by @GuyStickman. This account is for a series of 3-7 panel comics. There will be about 2-3 a week. 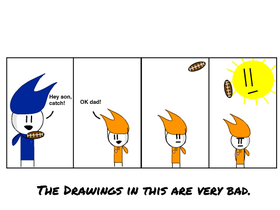 Scratch Comic #2: Son, Catch!